Well, this is hardly a surprise anymore, judging from the comments and replies, your iPhone 5 running on Maxis 4G LTE is all but confirmed. Maxis has just updated its main page showing that the iPhone 5 is now on its 4G LTE network. 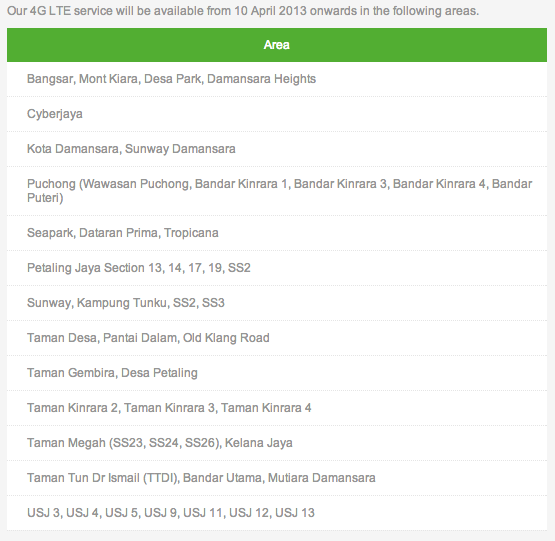 There’s a little surprise too, according to Maxis’ LTE page, starting from tomorrow onwards, it will cover a larger area including Bangsar, Mont Kiara, Damansara Heights, Sunway, Kelana Jaya and even selected parts of USJ. Just a little note, the iPhone 5 device bundling still remains the same, Maxis still offers the iPhone 5 with its iValue plans. Just so you know, those using a Cellular + Wi-Fi iPad mini as well as the 4th generation iPad, it’s compatible with Maxis 4G LTE as well. More information available over at Maxis.